We humans view the world in three dimensions of space and one of time. You could say that one dimension is width the second height, and the third is depth. The fourth dimension of time is when an object appears at a specific location. An object that is two dimensional is flat; it has no depth. An example is a piece of paper. A photograph or a map can be a two-dimensional representation of a three-dimensional world. So a shadow is a two dimensional projection onto a (flat) surface of a three dimensional object. Some conjecture that time is the fourth dimension, while others call the fourth dimension "space-time" to reflect how space bends out of three dimensions when gravity gets involved. In Science and Mathematics, the dimension of a space or object is defined as the minimum number of coordinates needed to specify any point within it. A line has a dimension of one because only one coordinate is needed to specify a point on it. A surface such as a plane or the surface of a cylinder or sphere has a dimension of two because two coordinates are needed to specify a point on it. The inside of a cube, a cylinder or a sphere is three-dimensional because three co-ordinates are needed to locate a point within these spaces. In physical terms, dimension refers to the constituent structure of all space (cf. volume) and its position in time Physical theories that incorporate time, such as general relativity, are said to work in 4-dimensional "spacetime". 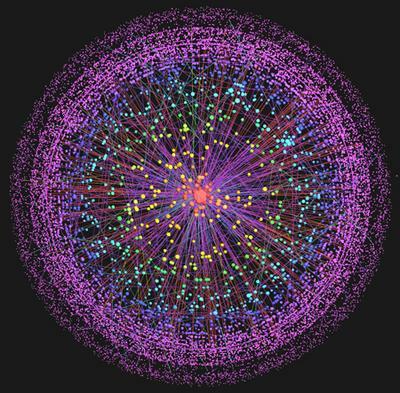 Modern theories tend to be "higher-dimensional" including quantum field and string theories. The state-space of quantum mechanics is an infinite-dimensional function space. Classical physics theories describe three physical dimensions: from a particular point in space, the basic directions in which we can move are up/down, left/right, and forward/backward. Movement in any other direction can be expressed in terms of just these three. 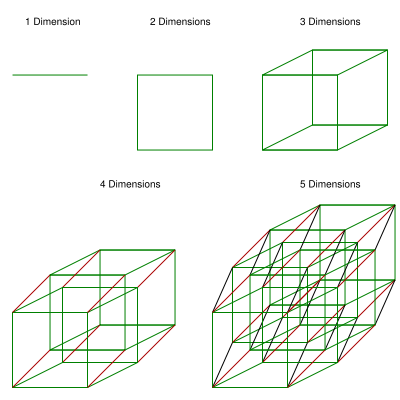 In its simplest form: a line describes one dimension, a plane describes two dimensions, and a cube describes three dimensions. Time is a temporal dimension is a dimension of time. Time is often referred to as the "fourth dimension" for this reason. A temporal dimension is one way to measure physical change. It is perceived differently from the three spatial dimensions in that there is only one of it, and that we cannot move freely in time but subjectively move in one direction. The equations used in physics to model reality do not treat time in the same way that humans commonly perceive it. The best-known treatment of time as a dimension is Poincaré and Einstein's special relativity (and extended to general relativity), which treats perceived space and time as components of a four-dimensional manifold, known as spacetime, and in the special. In physics, three dimensions of space and one of time is the accepted norm, but there are theories that try to unify different forces and such—these theories require more dimensions. Superstring theory, M-theory and Bosonic string theory respectively posit that physical space has 10, 11 and 26 dimensions. These extra dimensions are said to be spatial. It has been suggested is that space acts as if it were "curled up" in the extra dimensions on a subatomic scale, possibly at the quark/string level of scale or below. Various videos about the dimensions from a scientific to a spiritual perspective, from quantum dimensional reality to the dimensional planes and levels of consciousness. Some interesting books about dimensions, parallel dimensions, quantum physics, levels of consciousness and more.